Apex Kidney Care Pvt. 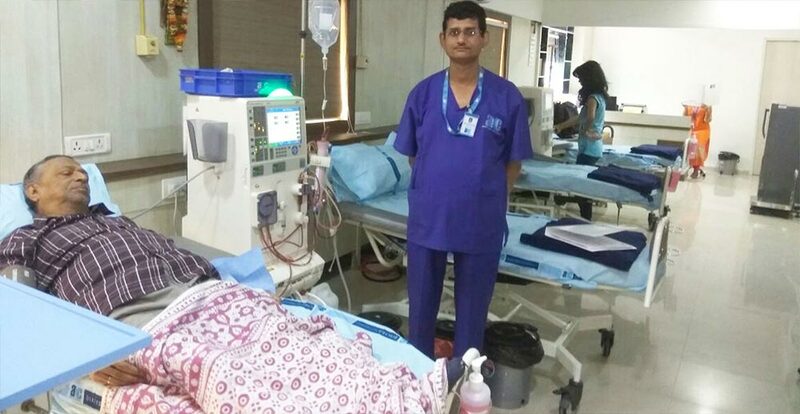 Ltd. in association with Lion's Club have started a 6 bedded dialysis unit at the Lion's Tarachand Bapa Hospital in Sion, Mumbai. It has emergency ICU facility. All the dialysis equipment can be bought from the Hospital stores directly. It will bring comfort to the surrounding community which has been suffering from dialysis problems for some time now. Some of the highest quality equipment is being used in the hospital. Also a water treatment plant(RO Plant) is installed to help maintain the quality of the water. As always the Unit has passed strict standards followed by the Quality control team from AKC.